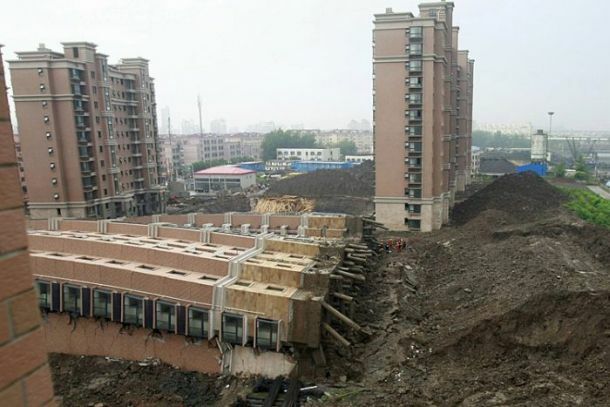 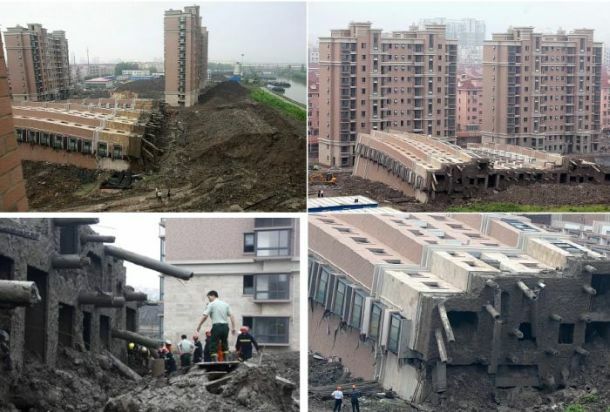 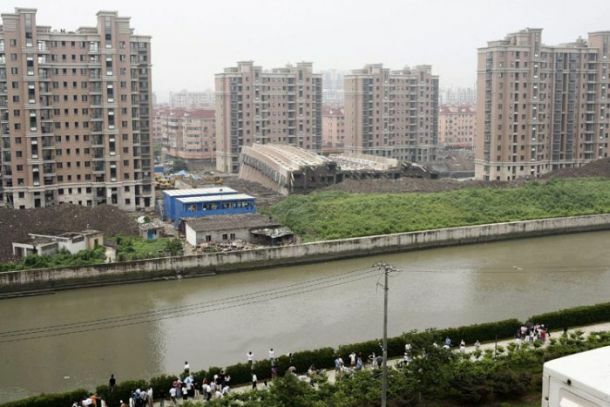 13-storey apartment building under construction toppled in Shanghai on July 27. 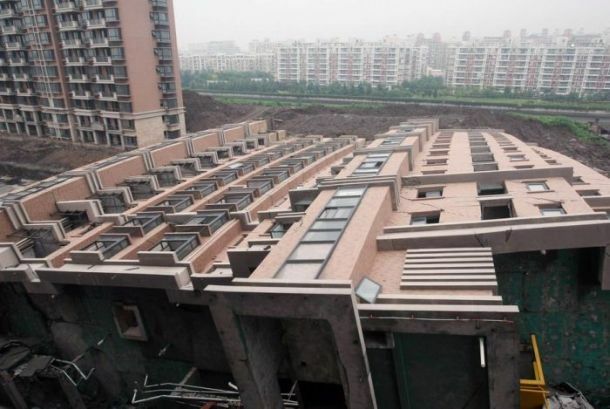 One of the workers was killed. 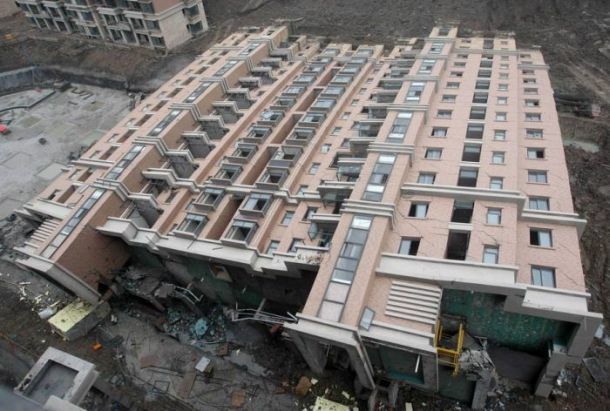 Interesting, but the whole thing didn’t fall apart and simply fell on its side. 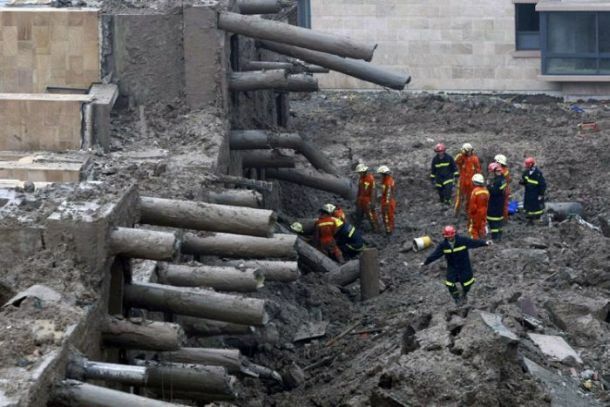 The cause of the incident is unknown.